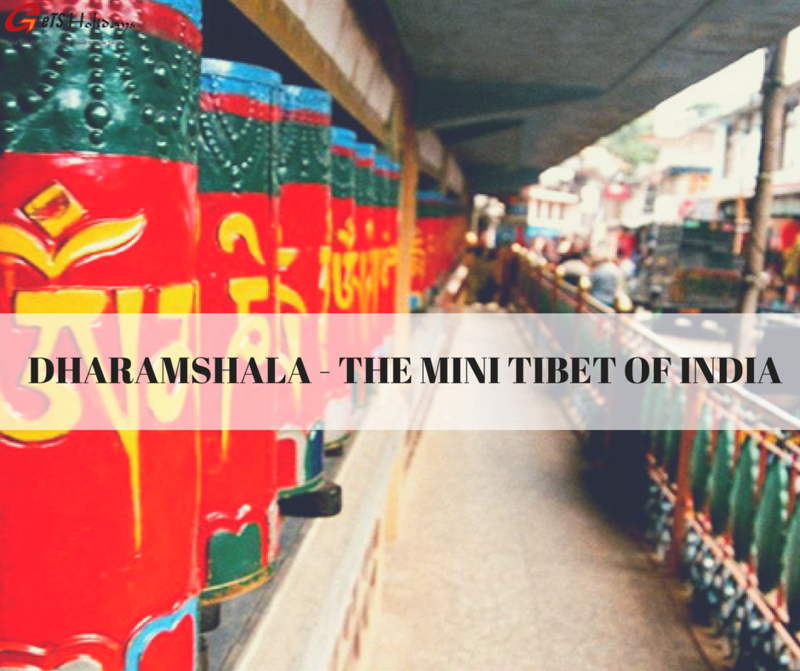 Ladakh, with its windswept beauty and incredible landscapes, is in itself a must-visit place to travel to, for the love of nature and its seamless wonders. 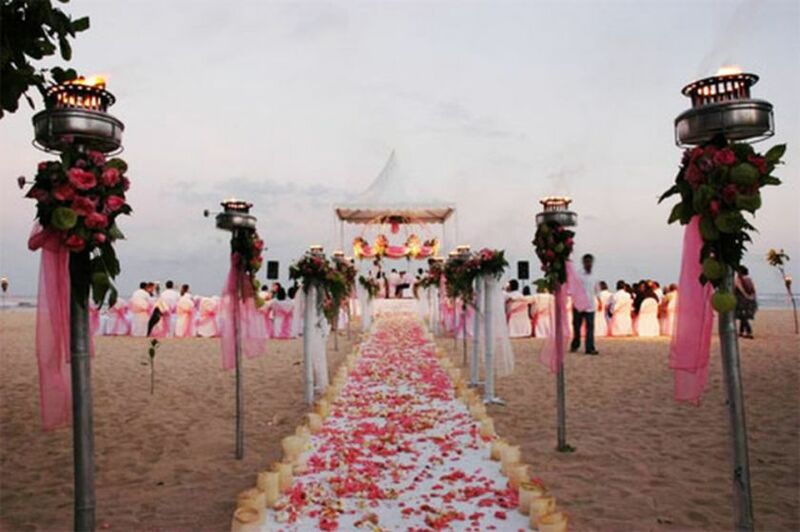 There couldn’t be a better time than the month of July to visit this serene land and celebrate life to the fullest. Why? July is the month to sing and dance away in the joys, celebrating the birth of the spiritual leader Guru Padmasambhava. With a pleasant weather and long days, Ladakh with its supernatural landscapes and breathtaking scenic beauties leaves its visitors awestruck. 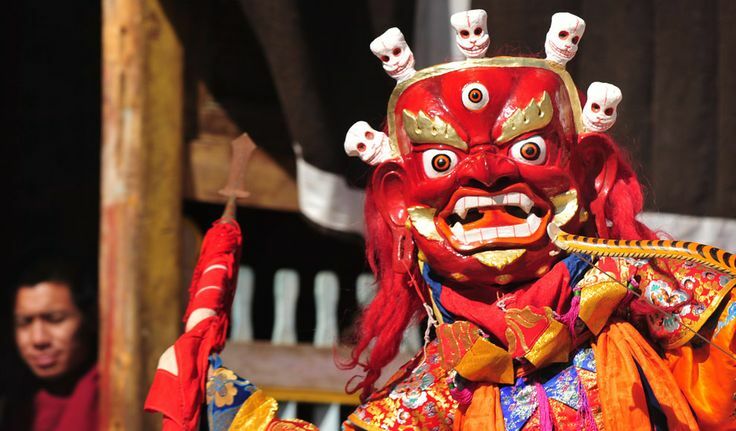 The Hemis festival is one of the biggest celebrations that take place with the ultimate zeal and fervor fascinating both the tourists from around the world and the locals as well. The vibrant festival is a two-day affair that falls on the 10th day (called Tse-Chu in the local language) of the Tibetan lunar month. People rejoice the birth of their spiritual leader Padmasambhava(Guru Rinpoche), the founder of Tibet Tantric Buddhism. 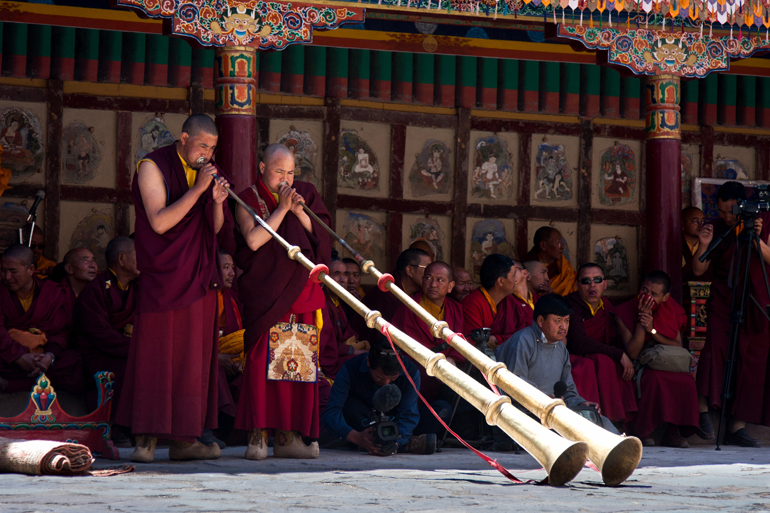 The venue and place for this festival is staged in the courtyard of Hemis Gompa-the biggest Buddhist monastery of Ladakh. Situated 45 km from Leh, the monastery of Hemis is the primary, richest and renowned Gompa (sacred Buddhist fortifications of learning & lineage) of Ladakh. 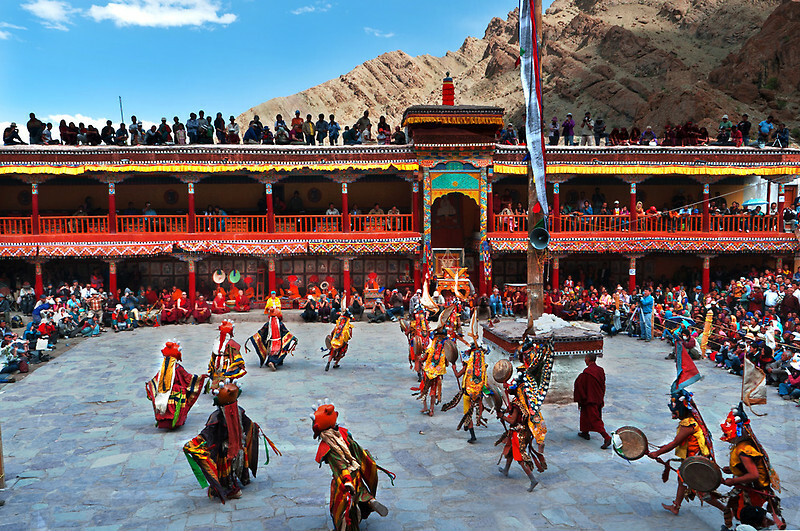 Hemis was constructed in the year 1630 that belonged to the Drukpa Lineage or the ‘Dragon Order of Mahayana Buddhism’. Sengge Namgyal the dynasty King of Ladakh re-established it in the 17th century. The Monastery also houses sacred Thangkas, murals and various artifacts. The leading Thanka that is placed in the monastery (a Tibetan Buddhist painting on cotton, or silk appliqué, usually depicting a Buddhist deity, scene, or mandala) unfolds itself once in a period of 12 years, is a sign of good health and spiritual strength. The Hemis Festival is celebrated in the glory of the sage Padmasambhava or Guru Rimpoche(Rinpoche’s being reincarnations of Lord Buddha). 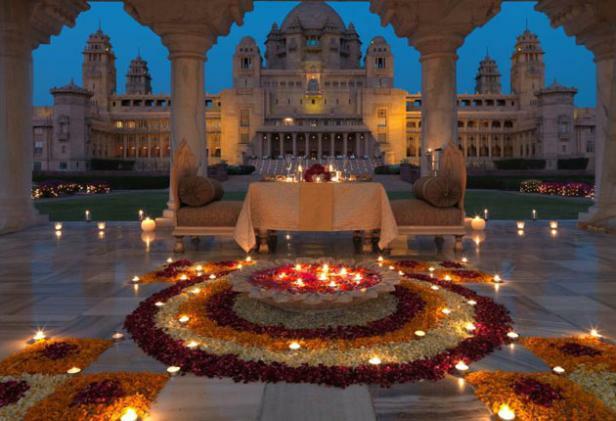 The celebrations begin with the head priest who commences and conducts the festival ceremonies. 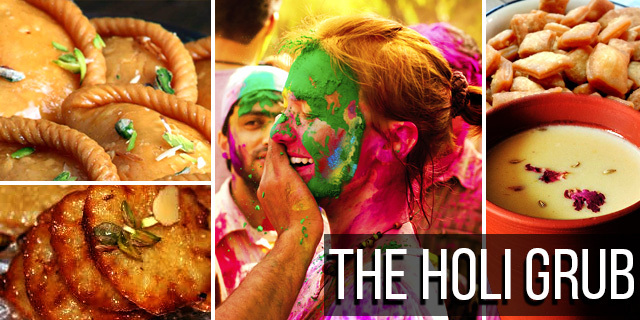 The locals can be seen dressed up into colorful attires and traditional garments for the function, offering insights into the cultural panorama of the region. 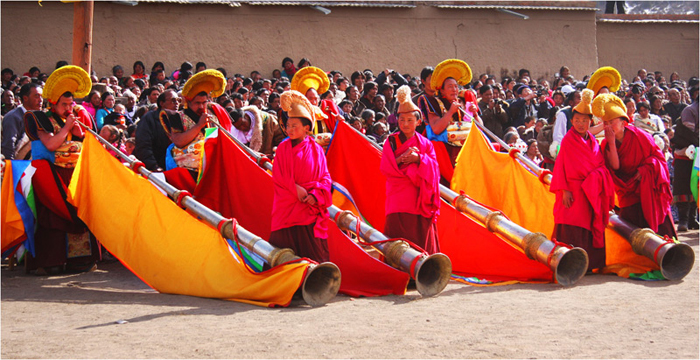 The Thangka of Rimpoche Dadmokarpo is exhibited in all its glory to the beat of drums, clash of cymbals and blowing of the long-horns, followed by masked dances performed in the open square space in the Gompa precincts. ‘Chams’ or the dancers perform cheerfully, depicting the legends and the triumph of good over evil. There are recitals of traditional music also. 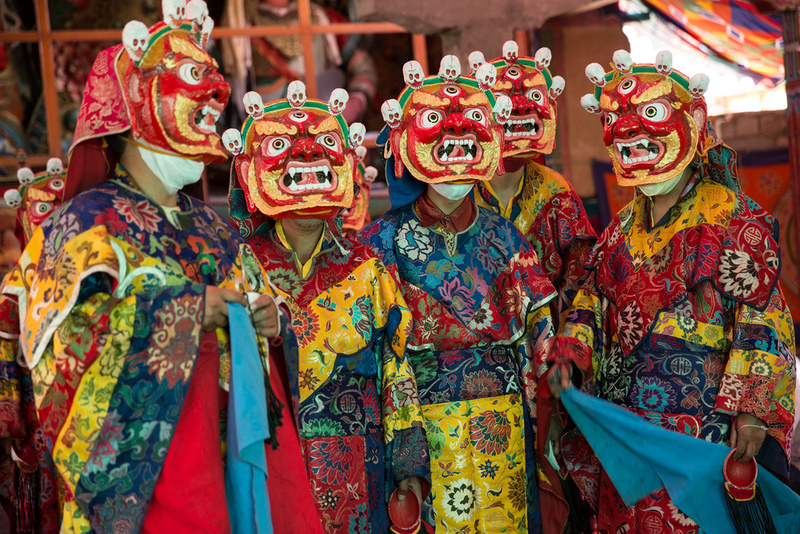 Country liquor made of fermented Barley is served mainly on the occasion; however, the key attraction of the festival remains the masked dance performances by the Lamas. 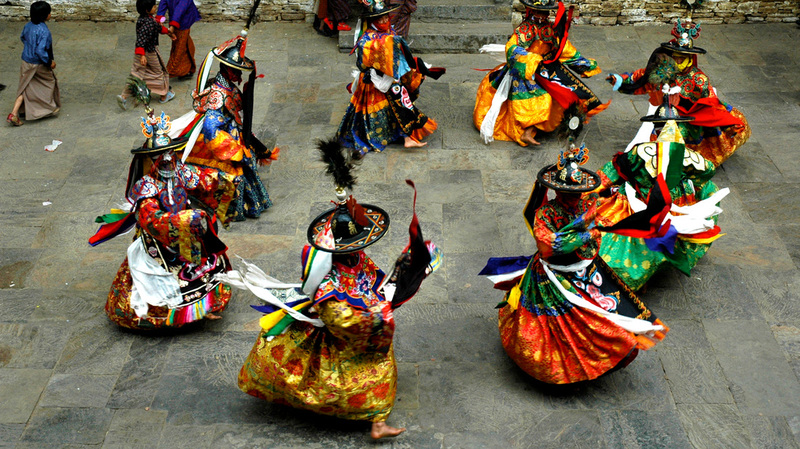 The Hemis festival falls between June-July, every year. 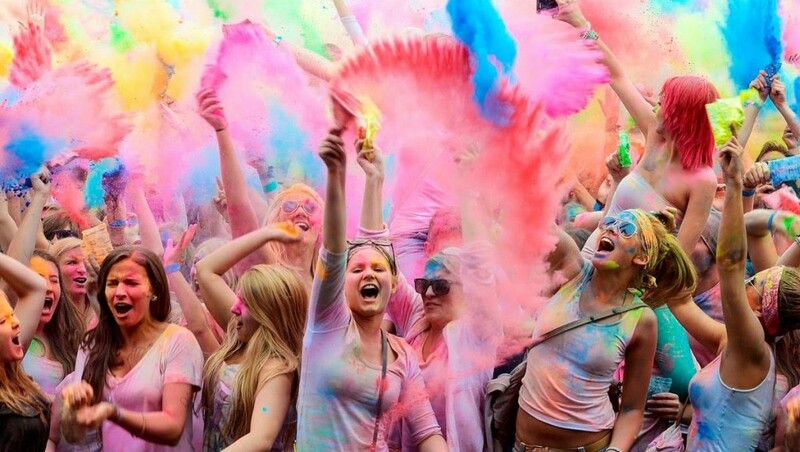 The Buddhist monks celebrate the sacred festivals, during which they perform 1,300-year-old spiritual dances, collectively called ‘Cham’, in order to transform the bad for the welfare of the entire world. The Cham is a branch of Tantra and when the lamas practice tantra with corresponding hand positions, it is called cham. The monks meditate for days and even weeks before the festival begins, envisaging and invoking the protective deities. Later elaborate performances are conducted during which extravagant dances are performed with traditionally and sacred mantras (invocations) are recited and with this they draw in the evil amongst the crowd, who is trapped in an effigy, a human body made of dough. At the climax of the ceremonial rituals, the dance master, known as Chamspon, exposes the effigy and draws the evil in his body to show it peace and the path to liberation, thereby, transforming it. The Buddhist’s believe that by performing the Cham, people can identify the Gods in heaven, which they will encounter after death. Through this it is believed that people come to know which Gods in the afterlife will help one to find rebirth in a good life.